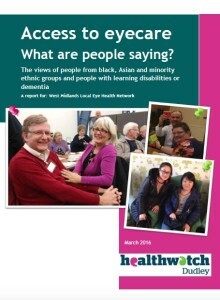 Our reports provide quality evidence that truly reflect the voice and views of local people. 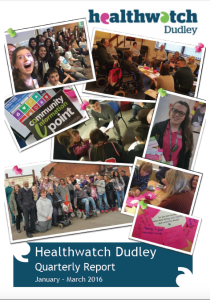 Any recommendations made by Healthwatch Dudley, will always be informed by what staff and volunteers are told about real experiences of local health and social care services. 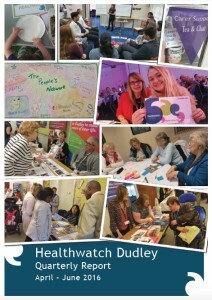 The NHS Dudley Clinical Commissioning Group asked Healthwatch Dudley to listen to the views of parents and carers of babies and infants accessing health care services. 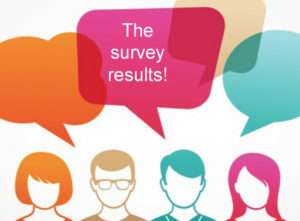 This report details our project activity and the recommendations we have made. 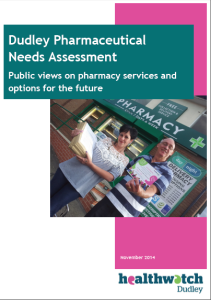 October 2017 – Pharmaceutical Needs Assessment What are people saying about local services? 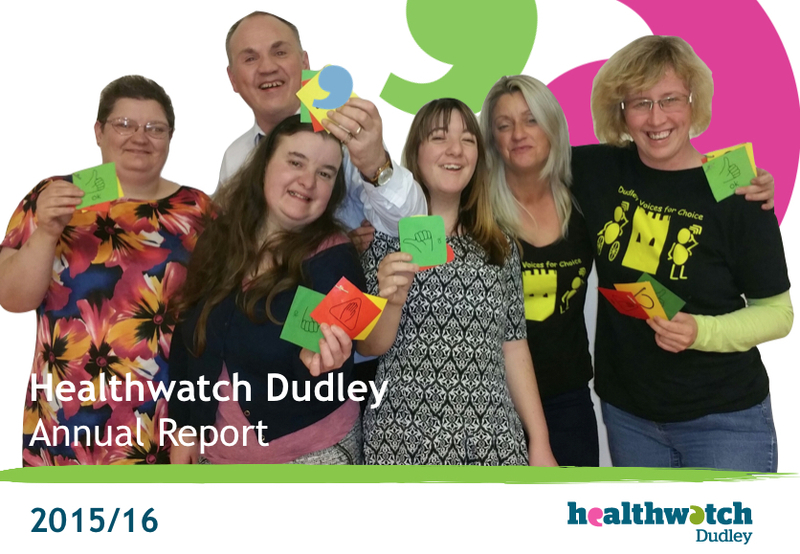 Your detailed update from the Healthwatch Dudley team. 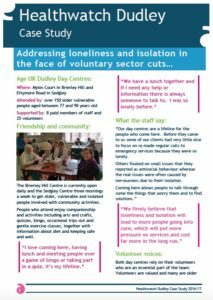 A report detailing our conversations with and experiences of local people who access day centre services, provided by Beacon Centre and Age UK Dudley in the face of voluntary sector spending reviews. 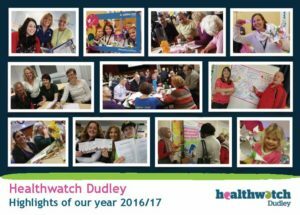 Healthwatch Dudley has worked with local and national partners to create a vision strategy for Dudley borough. 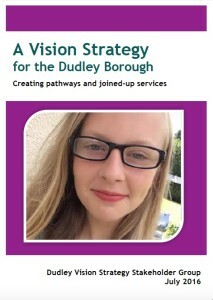 This strategy draws upon the views and experiences of people with sight loss and the professionals and others who work with them. 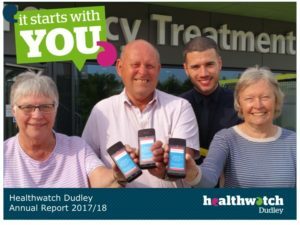 NHS England Local Eye Health Network West Midlands asked us to carry out a piece of research to get a better understanding of people’s experiences of eye health. 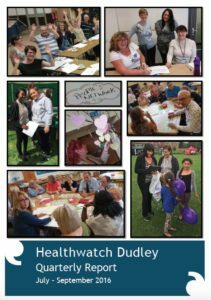 A project carried out by Healthwatch Dudley staff and volunteers, to examine the quality and fitness for purpose of the new Dudley Urgent Care Centre though the eyes of patients and visitors. 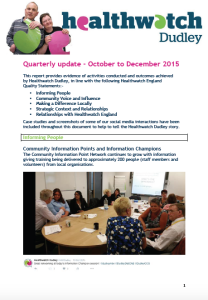 July 2015 – The Priory Community Pharmacy – People’s views on what it does for them. 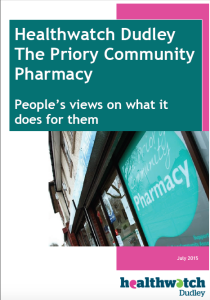 A report containing views and experiences of people who access services provided by The Priory Community Pharmacy. 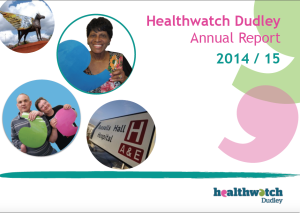 This report contributed to Healthwatch England’s Special Inquiry into people’s experiences of leaving hospital or care. Find out more about the Special Inquiry here. 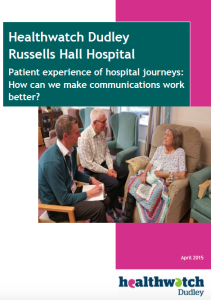 April 2015 – Patient experience of hospital journeys: How can we make communications work better? 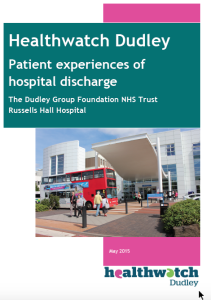 Patients’ views and experiences of their journeys during their stay on hospital medical and surgical wards. 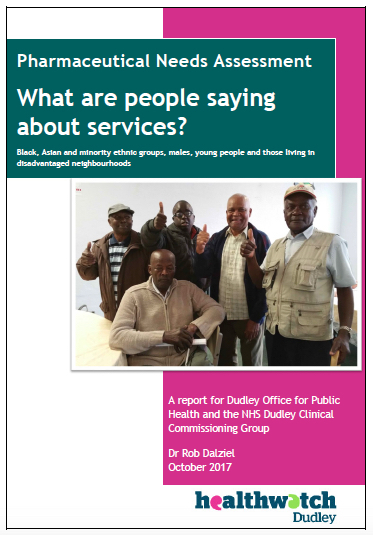 This report was presented to Dudley’s Health and Wellbeing Board in December 2014 together with a short film showing how we involved local people. 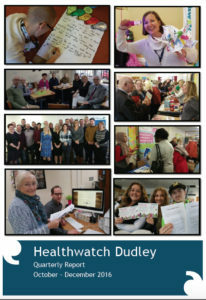 Our presentation can be downloaded here.